If any of you know me and my boys, you know that I don't want them to be run of the mill. I don't like off the rack, department store clothes where everyone in town has the same shirt on. I am always looking for something cool and hip, and I am always looking for clothes that reflect their personality. That's the reason why Baby Rock Apparel is one of my very favorite companies in the world!! This totally fits Tater's personality! 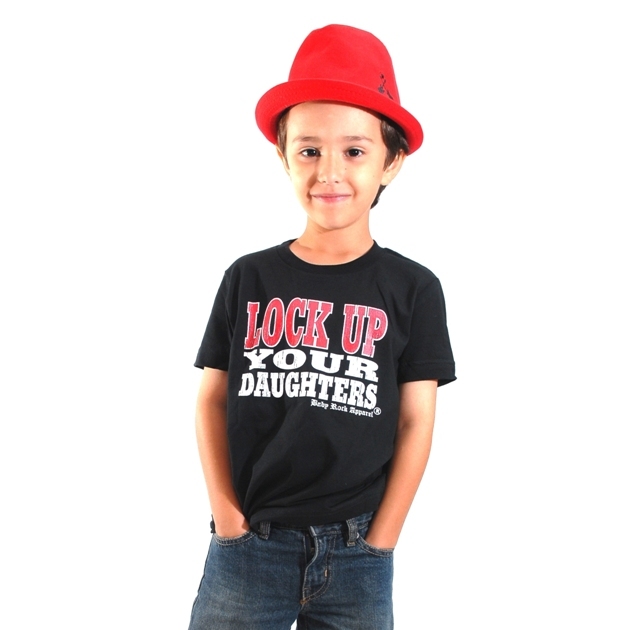 He is such a little ladies man, and I love him in this shirt! It is a real quality product too, and has stood up to many, many washes! I love the way it fits him, it is a little more fitted than most shirts that he has, and it looks really good on his skinny little frame! As always, I give Baby Rock Apparel two thumbs up and a BIG Flip Out Mama seal of approval! If you wanna check out their awesome products, just click here! disclosure: I received a sample product in order to conduct this review. Although a sample product was received, I received no monetary compensation and all opinions are my own. Awesome Halloween Contest from The First Years! Choosing a Christmas Card. Ahh! Fall Fashion Event: Rothschild Kids Coat Review! Straight Talk is so perfect for me! I Think We Need Something Like This! Fall Fashion: Time for Comfy Jammies! Healthy Smiles with Reach And Rembrandt!